Convenience, cost-effectiveness, speedy delivery and a huge selection are four descriptions that usually are not used when shopping for Pontiac Montana Parts at an automobile dealership. However, they do describe what you can expect when you use UNeedAPart.com, one of the Internet's largest automobile parts locator services. By incorporating over 7,000 parts dealers, the UNeedAPart.com network is second to none, and finding the right parts for your Pontiac Montana is fast, easy and cost-effective! Best of all, we serve both the professional mechanic and the do-it-yourself repairman. Why Shop at One Store for Your Pontiac Montana Wheel and Parts When You can Shop 7,000? The massive network that makes up UNeedAPart.com offers uncompromised selection, making hard-to-find parts a thing of the past. Pontiac Montana Wheel and Used Pontiac Montana Engines can now be easily located and in your hands in no time. Forget about going to the automobile dealership and waiting weeks to get a simple part replacement for the Pontiac Montana. Use the speed and the power of UNeedAPart.com right from the comfort of your home or from the garage office and before you know it, your Pontiac Montana will be back in business! Just because a vehicle is a new model doesn't mean that replacement parts should be difficult to locate. UNeedAPart.com ensures that they're not. 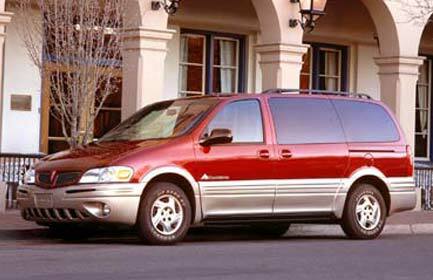 Finding the right Pontiac Montana Parts is easy! To get started, simply use the Parts Request boxes at the top and/or side of the page. You will instantly be matched with auto parts dealers that meet your search criteria. UNeedAPart.com helps you find the new or used auto body parts you need in no time!